How Good Are You At Fact Checking? Play football for the Foothill Mustangs! Be a part of a WINNING TEAM!! 2019 Graduation Commencement information will be posted here. Check back often as this page (and all TBA) will be updated as details become available. We've collected tools and resources to best prepare students for the next step in their education. The FHS School Store covers all of your school spirit needs. From Mustang Wear and Gear, Yearbooks, and more! 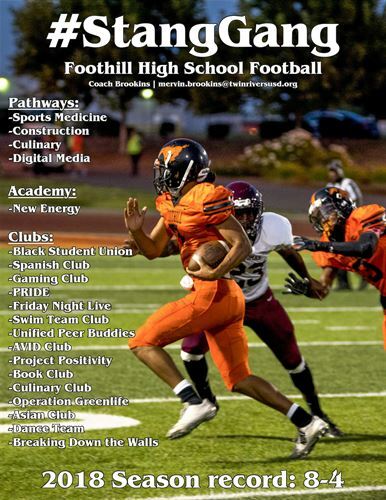 Our student run journalism website keeps you up-to-date with events and news from Foothill High School.